Located at 837 W Apache Trail in Apache Junction. Call Doris 480-671-5600 for complete details. 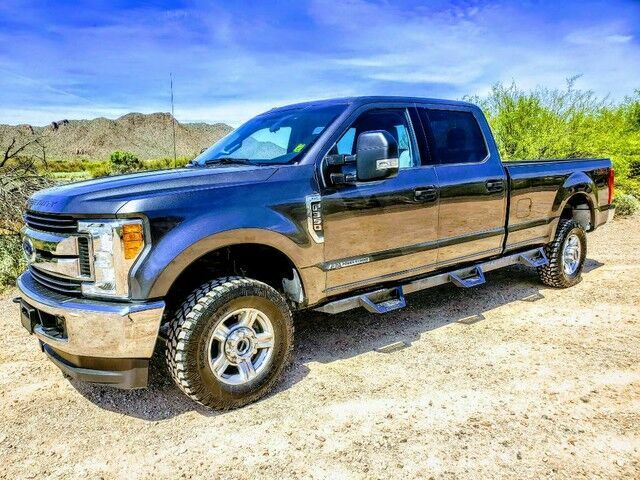 Carfax One Owner Ford F350 crew longbox in excellent condition. Magnum running boards, Sync with AM/FM/CD/Aux/USB and wireless connectivity. First Oil Change on us, with every vehicle purchase! Ask if this vehicle qualifies for our Lifetime Engine Warranty! *Diesel and high performance engines are not applicable. Trucks Only has been in business for over 40 years. Our customers have helped us to earn and maintain the A+ rating with the Better Business Bureau and we have been honored to achieve the Customer Satisfaction Award with DealerRater 3 years in a row! Call Doris at 480-671-5600 for complete listing details!